For the fifth year in a row, Ukrainian cities joined in the celebration of European Sustainable Energy Week (EUSEW) to raise public awareness on energy efficiency and renewable energy. 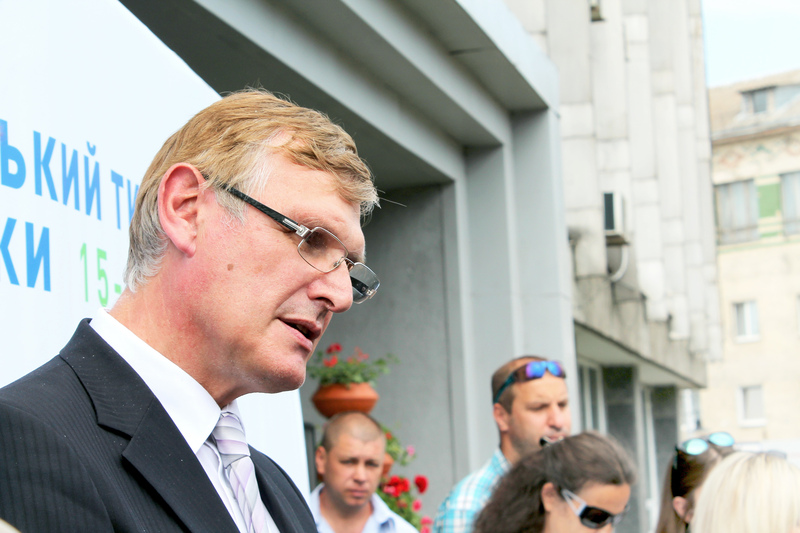 This year’s EUSEW was officially launched with outdoor events held in Vinnytsia. Five years ago, Vinnytsia joined the EU Covenant of Mayors environmental programme, taking on a voluntary commitment to implement energy-efficient measures. “This year Vinnytsia became the first Ukrainian city and the first city in all the CIS countries to receive the European energy award for its ecological efforts,” announced Serhyi Morhunov, the acting mayor of Vinnytsia. At the same time, Tretton stressed that sustainable energy is not cheap; developing energy-saving technology and finding alternative energy sources requires a lot of money. The EU, together with the European Bank for Reconstruction and Development, announced it will contribute 15 million over the next few months for Ukraine’s energy-efficiency projects within the Eastern Europe Energy Efficiency and Environmental Partnership (“E5P”). Tretton also pointed out that, in addition to the hard work of everyday Ukrainians, an important component of developing sustainable energy practices in Ukraine rests with the government, which must implement changes to Ukrainian legislation. Take a look at these images to see how Ukrainians celebrated EU Sustainable Energy Week in Vinnytsia. EU Sustainable Energy Week (EUSEW) is an initiative of the European Commission and first took place in 2006. It is designed to spread best practices, inspire new ideas and build alliances to meet the EU energy and climate goals. Ukraine first joined the EUSEW initiative in 2011. 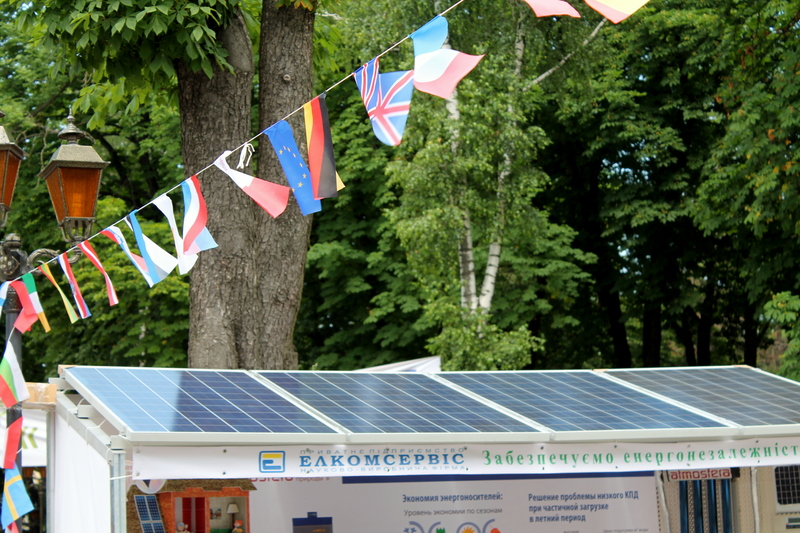 Since then, Ukrainian cities host events to promote renewable energy in their communities. Sustainable Energy Week in Ukraine consolidates the efforts of ecological NGOs, state institutions, think tanks and businesses in many cities across Ukraine. This year’s celebrations took place from June 15 to 19 in cities across the country including Vinnytsia, Kyiv, Ivano-Frankivsk, Lviv, Lutsk, Ternopil, Chernivtsi, Kharkiv, Odesa, Konotop, Zhytomyr, Kryvyi Rih, Poltava, and Gola Prystan’.